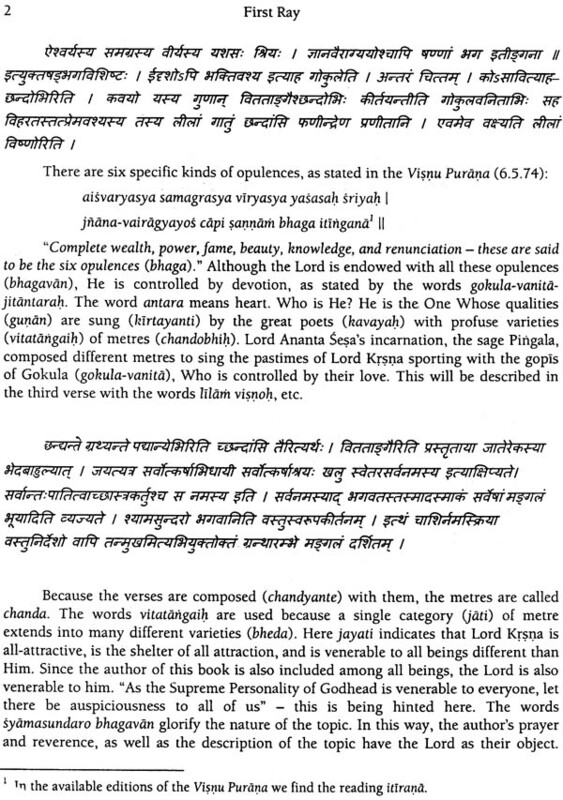 Such is the important of chandah that it is given the position of support of the Vedas. 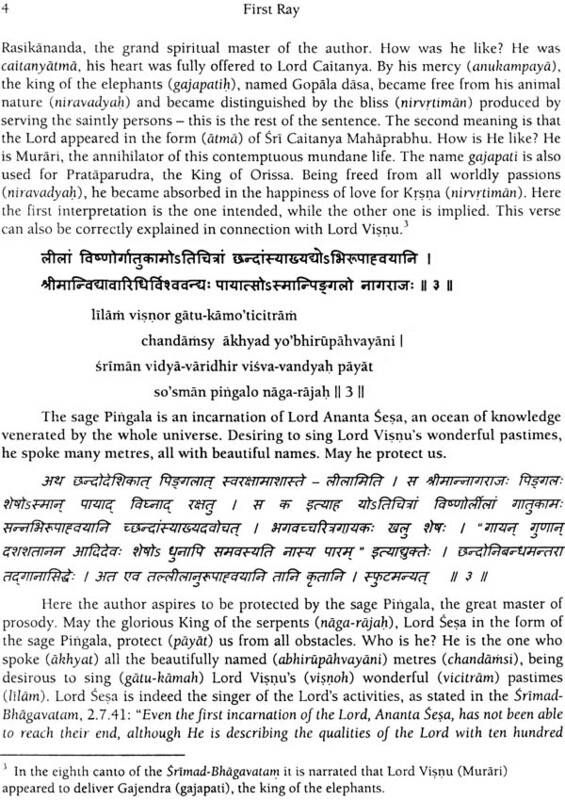 Knowledge of chandah plays an essential role in the accurate recitation of the Vedas and in the composition of treatises in Sanskrit. It is a very ancient custom to write whole books in one or more meters, the purpose being twofold: to facilitate the memorization of the text and to make it suitable for melodic and rhythmic recitation. 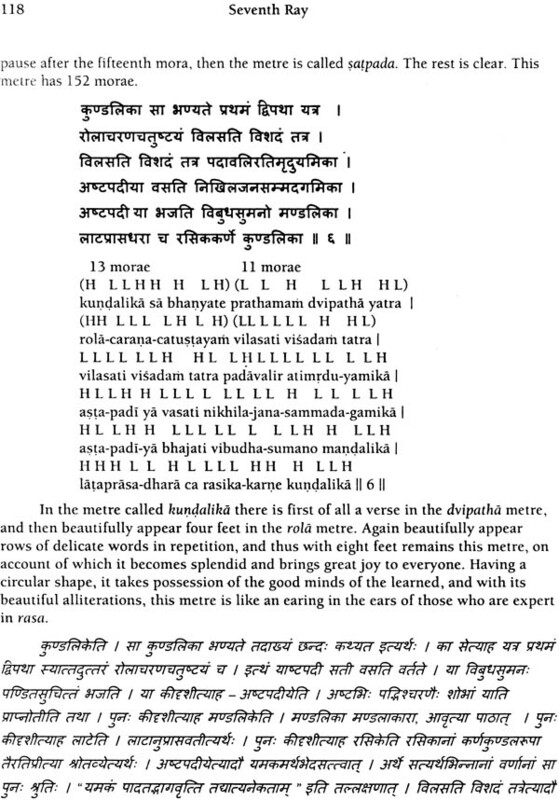 Another aspect common in Sanskrit literature is the poets’ use of chadha to fully display the dimension of their scholarship; the vast majority of Sanskrit texts were composed in verse (padya) rather than prose (gadya). 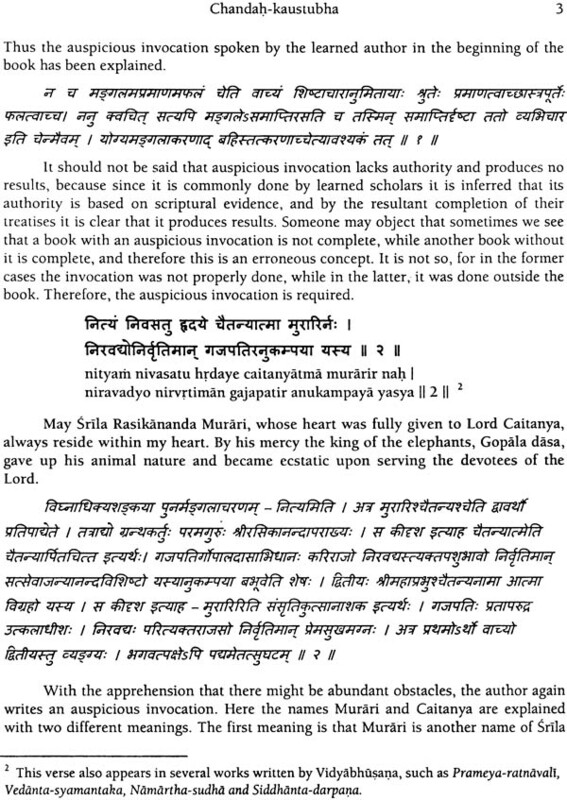 Those who are not conversant with chandah are rebuked in the Brhaddevata. 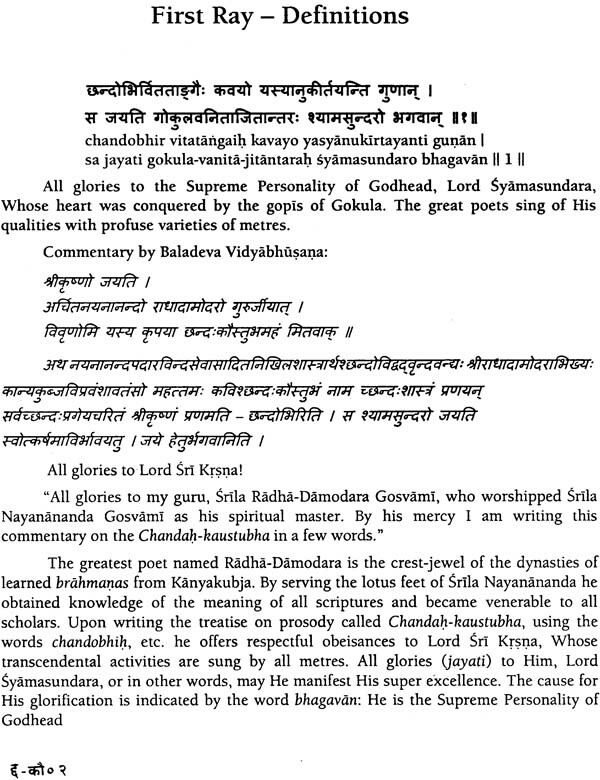 There are innumerable texts on chandah, among which Chandah kaustubha is a distinct work from many perspective; just as Jiva Gossamer Hari-namartd vyaharana is an ingenious treatise in the field of Sanskrit grammar-a pioneer in the Gaudiya line-so is Radha-Damodara’s Chandah kaustuubha in the field of prosody, in the same spirit, both the author and the commentator, Baladeve Vidyabhusana, bring the Gaudiya mood of worship of Sri Sri Radha and Krishna while teaching the technical details about the formation of poetic meters. 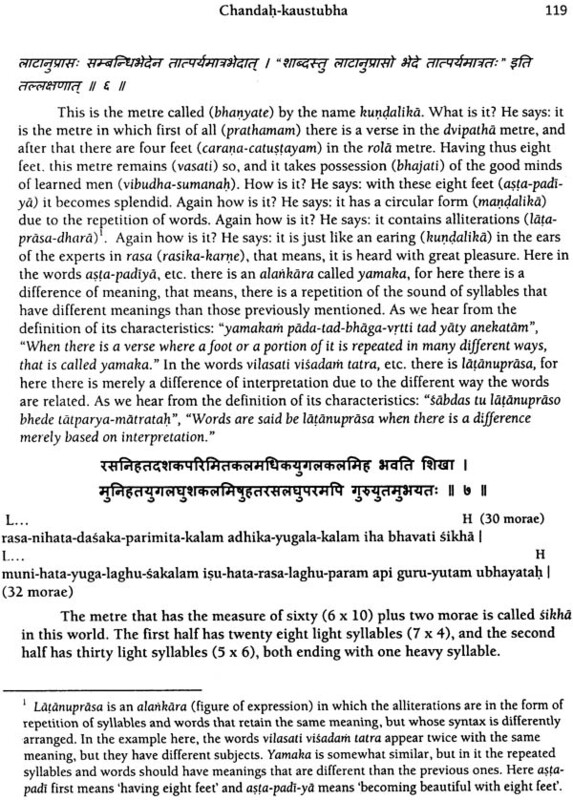 One of the remarkable futures here is that the aphorisms laying the rules for each metrical pattern are themselves written in those respective meters, without the need of further examples, In a few instances, Vidyabhusana supplied examples while the author himself did not the sake of concision. 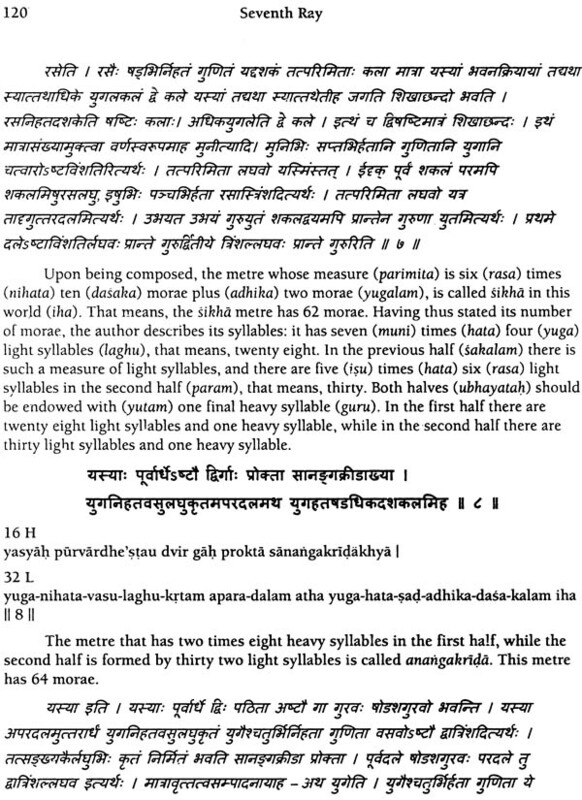 Despite the omission of the Vedic meters, herein a total of 264 laukika (common) metres are defined and exemplifies, after which follow two chapters describing the pratyaya (analysis) of syllabic and moraic metres with their respective charts. 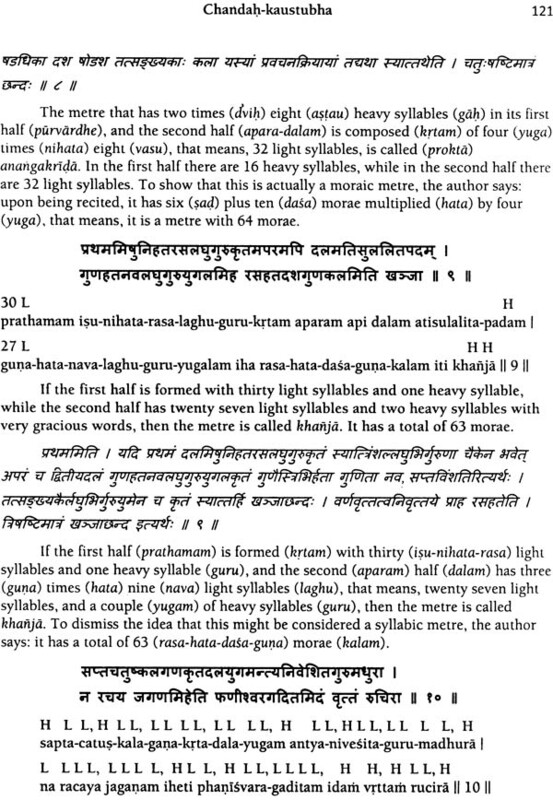 These charts serve as a useful tool to quickly identify any meter and it’s diverse Chandah-Kaustubha one of the most comprehensive and lucid treatises on classical Sanskrit prosody ever composed.